Chris Paul is leaving a lot on the table—money, the ball, and possibly his legacy—to take a chance on the Rockets. Will the gamble pay off? 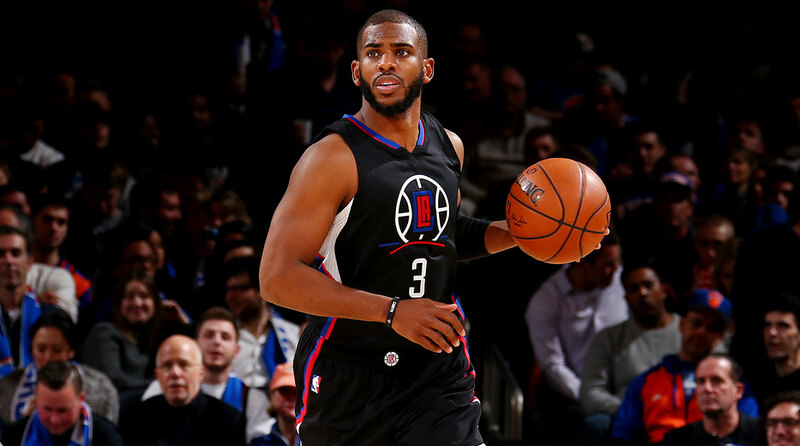 We run down what's at risk for CP3. 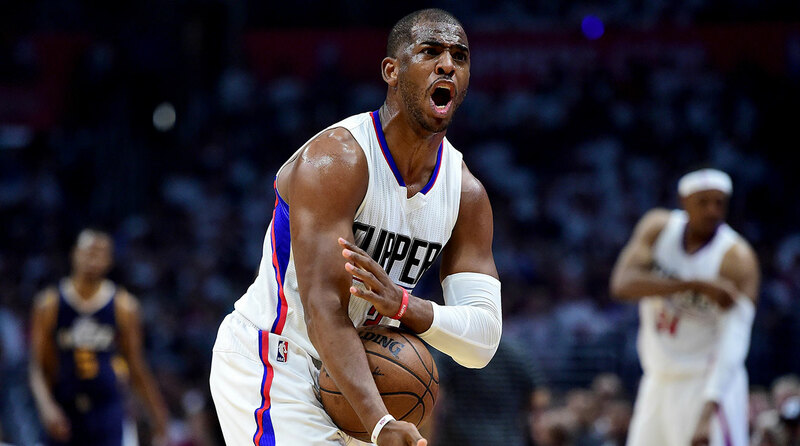 From every angle, the Clippers’ decision to trade Chris Paul to the Rockets is a jaw-dropper. For L.A., the move marks the official—and perhaps earlier-than-expected—end to the most (and only) successful era in franchise history. For Houston, the deal is the latest blockbuster in a series of star-driven moves under GM Daryl Morey, a gamble that two of the league’s premier ball-handlers, play-makers and offense-initiators can merge their talents to form an attack for the ages. But Paul’s role in this trade is easily the most fascinating and complex, Simply put, the deal never materializes without his approval—in the form of an unexpected opt-in to the final year of his contract—and his willingness to make a series of compromises and bets that will set the course for the tail end of his prime. The Western Conference’s power balance tilted Wednesday because a first-ballot Hall of Famer, one of the best point guards of all time, eschewed the status quo to take many leaps of faith. Let’s run through Paul’s many trade-offs that eventually came together to form this trade. Any discussion of the monetary “risk” around this decision for Paul comes with a mandatory disclaimer: He’s earned more than $160 million during his NBA career, he enjoys significant off-court national endorsement deals from the likes of Jordan Brand and State Farm, he’s set to earn roughly $24.3 million in 2017-18 after picking up his option, and he might have another half-decade left in the tank. Paul is set for life. Nevertheless, this summer represented his chance to truly cash out and he chose to delay the truly monster checks. For reference, Paul could have received up to $201 million over five years from the Clippers and up to $149 million over four years from outside suitors had he declined his option and entered free agency. While L.A. was reportedly hemming and hawing over forking over the full boat and the extra year, which would have carried the 32-year-old point guard through his 37th birthday, Paul could easily have received the $149 million from somebody. If he wanted maximum financial security as soon as possible, that represented his absolute baseline and it stands a long, long way from $24.3 million. Of course, that money isn’t necessarily gone forever. Paul will be in position next summer to receive a five-year contract from the Rockets worth $207 million, and the difference in state taxes between Texas and California could wind up making this all a moot point if he maintains his current level of play under new coach Mike D’Antoni. It’s still worth noting, though, that Paul at this stage of his career isn’t bulletproof like LeBron James was when he returned to Cleveland on a series of short, flexible deals or like Kevin Durant was when he joined Golden State on a two-year contract with an opt out last summer. Paul is still clearly a top 10 player and All-NBA performer, but he’s missed 20+ games in two of the past four seasons and he suffered a season-ending injury during the 2016 playoffs. The Clippers have also scaled back his minutes every season since 2014. Paul might very well make it through next season with perfect health and no slippage, but this decision may force him to ponder how much money he might have left on the table if Father Time does start to gain on him in meaningful ways. Most players at his age and with his injury would have taken the money and run as soon as possible. Paul chose not to, and that’s noteworthy in and of itself. By going this route, Paul has also maximized his flexibility, setting up the possibility of the long-rumored “Banana Boat Reunion” with close friends LeBron James, Dwyane Wade and Carmelo Anthony, all of whom can become free agents next summer. 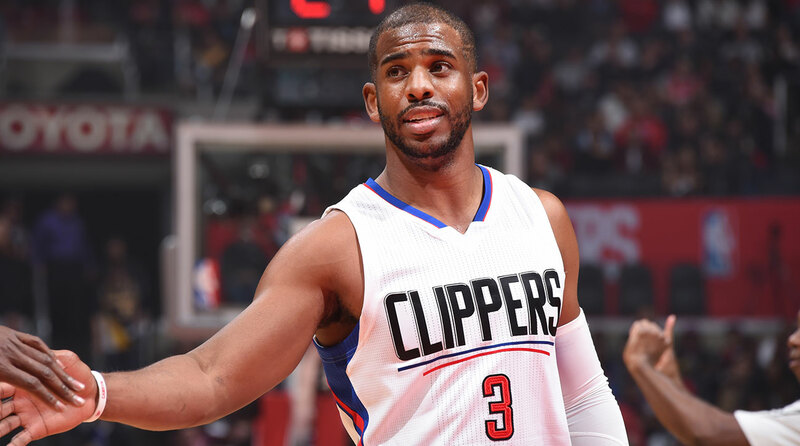 Paul wasn’t the Clippers’ only star, but he was The Man. For good reason. The Clippers have existed as a franchise for 47 seasons; their six most successful seasons all came during Paul’s six-year tenure. His arrival in 2012 opened the Lob City era and enabled the Clippers to trot out one of the most devastating and efficient offenses in the league, and his gutsy, heady play helped L.A. beat Memphis, Golden State and San Antonio in memorable first-round playoff series. Last year, Paul ranked No. 2 in the league in Real Plus-Minus, eighth in touches per game and seventh in time of possession. Critics can only accuse Paul of being overly controlling, not overly deferential, and he played some of his most effective and prolific all-around basketball when superstar teammate Blake Griffin was sidelined due to injury. Paul won’t be The Man in Houston. That title belongs to James Harden, who is younger, a better scorer, and more familiar with D’Antoni’s approach on offense. Paul will still be in position to earn All-Star and All-NBA honors while also carrying a heavy leadership burden, but he must first prove he can fit in as the new guy, much like Durant in Golden State last season. And remember, Harden was signed to a four-year extension last summer while Paul will enter 2017-18 in a contract year. 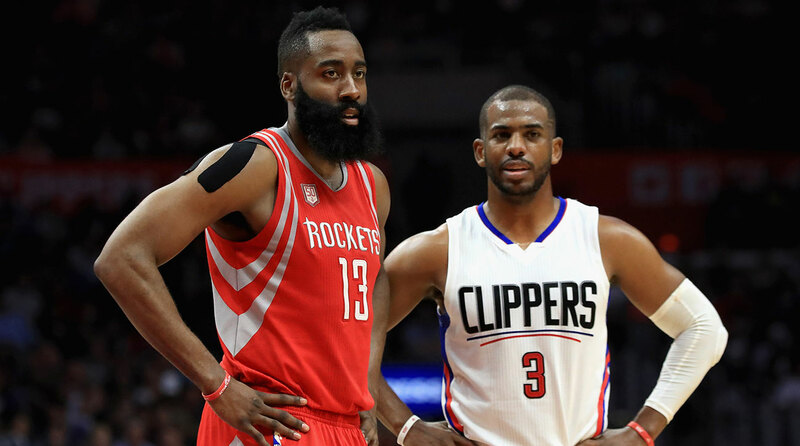 If the Harden/Paul pairing falters like the Harden/Dwight Howard pairing did in years past, there’s little doubt which of the two stars will be looking for a new home. The offensive ceiling on a Harden/Paul backcourt is extraordinarily high. Both players can shoot. Both players are threats going to the basket. Both players are masters at drawing contact. Both players are excellent at setting up lob finishes out of the pick-and-roll. Both players are capable of breathtaking dribble displays and eye-popping passes. Both players can find success running the break and in milk-the-clock isolation situations. And importantly, both players ran out of gas in their postseason losses this year and should therefore benefit from a lighter load. Both players, however, will face a significant adjustment period after playing alongside complementary guards in Patrick Beverley and J.J. Redick. Consider: Harden averaged 8.9 MPG of possession and 99.2 touches per game last year while Beverley registered just 3 MPG of possession and 49.7 touches. In L.A., the gap was even larger: Paul averaged 7.2 MPG of possession and 86.2 touches while Redick, a catch-and-shoot specialist, clocked just 1 minute of possession and 36.4 touches. The screeching over “There’s only one ball” is probably overdone, but a little tug-of-war is going to be inevitable. There’s also the pace issue: Houston ranked third last year under D’Antoni, unsurprisingly, while LA’s older roster checked in at a more deliberate 17th. Paul has played faster in the past—L.A. ranked in the top 10 in pace multiple times during his tenure—but his natural inclination in recent years has been to control the game by valuing every possession, working like a surgeon rather than a sprinter. Harden, by contrast, is in his natural element playing fast and loose first, downshifting when necessary to exploit mismatches or generate late-clock opportunities. These two will likely meet somewhere in the middle, but where? Finally, there’s the unavoidable issue of shot location. Houston has played “Moreyball” for years, gearing its entire attack around high-efficiency looks at the rim, from beyond the arc and at the foul line. During D’Antoni’s first year as coach, the Rockets set an all-time record for three-point attempts and ranked dead last in mid-range attempts, shooting just 3.8 times per game from 15 to 19 feet. Remarkably, Paul attempted the same number of mid-range shots—3.8 per game—by himself in L.A. last year. This is one area in which Paul’s arrival might prove helpful. During their second-round series loss to the Spurs, Harden and company had no real counter when the defense completely abandoned the mid-range in order to protect the rim and closely guard the three-point line. Gregg Popovich’s defensive strategy was instant checkmate, as Harden tried his best to pursue his preferred style, forcing up tough contested looks over multiple defenders in the paint and facing consistent hands when he lined up from deep. Paul’s arrival will give the Rockets a strong counter in a possible postseason match-up with San Antonio; Rampant cheating on defensive positioning will no longer be a workable solution thanks to Paul’s shot-making ability. Paul was so firmly entrenched in L.A. that there had been some discussion over the past year as to whether he might become the first Clippers player to be honored with a Staples Center statue, a la Lakers legends like Jerry West, Kareem Abdul-Jabbar, Magic Johnson and Shaquille O’Neal. A five-year contract would have solidified him as Mr. Clipper and prevented his family from being uprooted, a key variable that was invariably mentioned during pre-trade analysis. If Paul’s priority had been comfort and familiarity, there’s no question he would have re-signed for as much money as humanly possible. This trade clearly signals that Paul wasn’t satisfied with the Clippers’ perpetual struggle to piece together a supporting cast in hopes of finally breaking through to his first career Western Conference finals appearance. Instead, Paul chose to join an organization that made the West finals in 2015, has the 2017 MVP-runner up in his prime, is led by the 2017 Coach of the Year, and is directed by the 2017 Executive of the Year runner-up. If LA’s stock was slowly sliding with little hope for a dramatic rebound, Houston’s has enjoyed steady improvement throughout the Harden era with good cause for future bullishness. Ownership is willing to spend. Management has proven to be creative and willing to take risks. Harden is a blue-chipper. And the supporting pieces fit so well that the Rockets led the NBA in outperforming preseason expectations last year. Add up all of those factors, and Paul can reasonably conclude that next season will represent his best shot since 2015 to reach the West finals and finally shake the “Couldn’t win the big one” reputation that has dogged him throughout his career. If Morey can swing a deal to add a third All-Star, the Rockets should be the odds-on favorite to be the West’s No. 2 seed, barring a seismic summer from the transitioning Spurs. If not, Houston still has to like its chances heads up against San Antonio and everyone else besides Golden State given the constant pressure and high-level skill offered by its backcourt. If this experiment backfires, however, Paul will face the “Best guy to never win anything” label all over again while facing another existential decision come July 2018. This is no small matter from a historical perspective. Already, Paul has built a statistical case that places him in the “Greatest Point Guard Of All Time” conversation with the likes of Magic Johnson, Oscar Robertson, Isiah Thomas, John Stockton and Stephen Curry. He surely knows as well as anyone that his final ranking on that list will require more postseason success than he’s enjoyed to date. If never winning a title held back Stockton, never advancing to the NBA’s final four will surely hold back Paul. And that’s the ultimate trade-off behind the Paul trade: In exchange for tens of millions of guaranteed dollars now and all the comforts of home and life as The Man, Paul gets a better shot at winning big and finally claiming the recognition that he has earned.